It’s officially spring and that means more houses are coming to market every day. Pent up demand from winter means eager buyers are starting to search for their next home now. If you’re thinking of selling, setting the right price for your house is one of the most important things you can do. According to CoreLogic’s latest Home Price Index, home values have risen at over 6% a year over the past two years. Over the last 12 months, however, they’ve started to slow to 4.4% By this time next year, CoreLogic predicts that home values will be 4.6% higher. 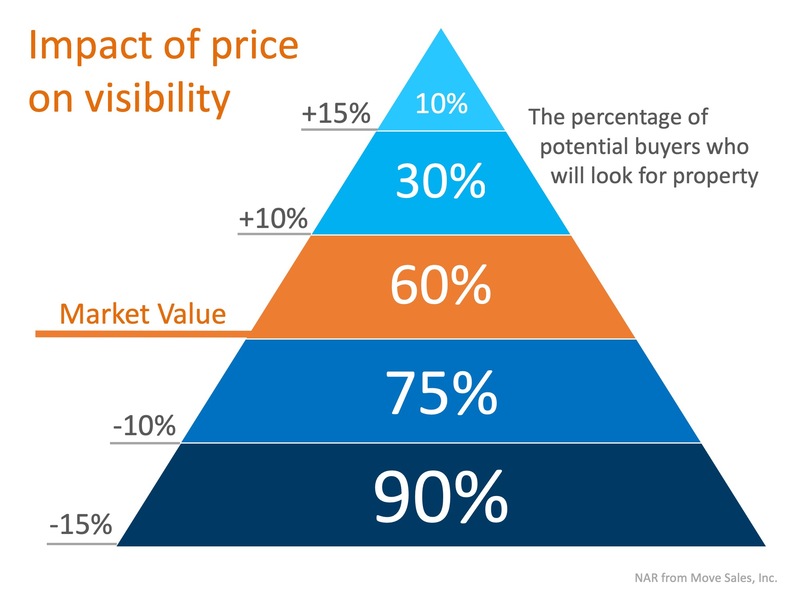 With prices slowing from their previous pace, sellers must realize that pricing their homes a little OVER market value to leave room for negotiation might decrease the number of buyers who will see their listing (see the chart below)! Instead of trying to ‘win’ the negotiation with one buyer, you want to price your house so that you maximize demand for your home. More people seeing your home means a higher likelihood of selling it. More potential buyers also means you will not be negotiating with one buyer over the price, but may instead have multiple buyers competing with each other over your house. The key to selling your house in 2019 is making sure your house is Priced To Sell Immediately! That way, your home will be seen by the most buyers and will likely sell at a great price before more competition comes to market later this spring. As the seller, you’ll also want to factor in any real estate commissions for the transaction. Your listing agent customarily receives 3% of the purchase price while any buyer’s agent would also receive 3%. So expect 6% of the sale to go toward the agents who put the transaction together. This sounds like a lot of money, and it is. However, a good agent will know how to price your home right as well as make sure any offers will work for you and your situation. They have the benefit of marketing tools such as listing on the MLS (a real estate feed for multiple sales websites like realtor.com) that you wouldn’t have access to selling it yourself. If you decide to list with an agent, interview a couple different ones. Make sure they have a solid marketing plan in place and you know what services they’ll provide. Make sure they use a professional photographer and will perform a CMA (Competitive Market Analysis) on your home to set it at the best price point for greater demand. Also, remember, you are more attached to your home than potential buyers and likely place a higher emotional value on it. Listen to your agent when it comes to pricing your home, especially if you want to sell it quickly. If you are thinking of putting your home on the market, make sure you know the “real” value of your home in today’s market, that you factor in any commissions for seller’s and/or buyer’s agents, and that you do your homework when it comes to using a listing agent.